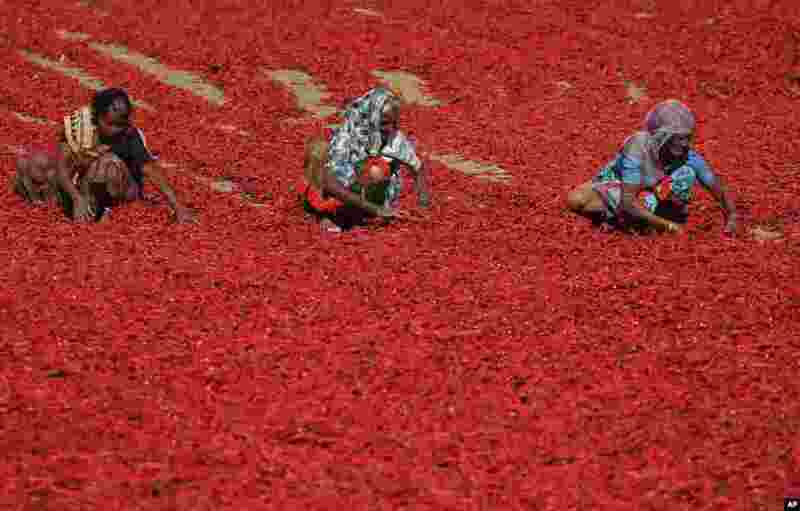 ۱ Indian women sort red chillies to dry at Shertha village in the western Indian state of Gujarat. 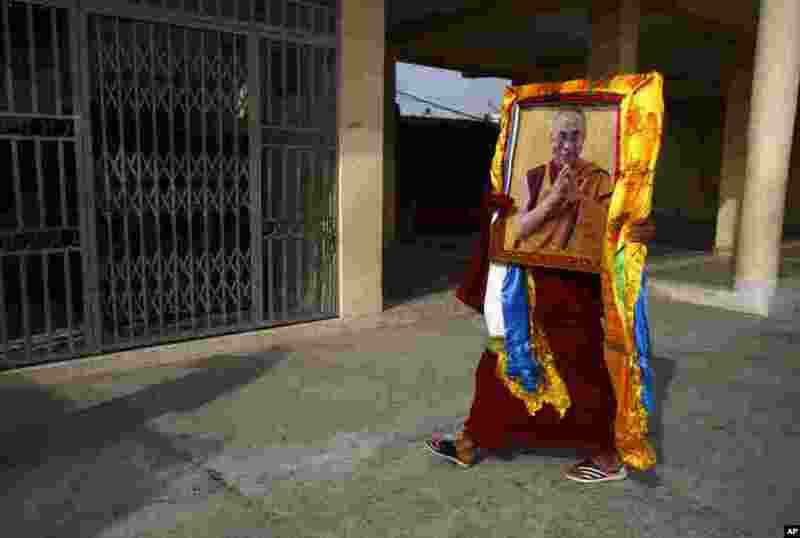 ۲ A Tibetan Monk carries a portrait of spiritual leader the Dalai Lama during festivities marking the last day of the Tibetan New Year, or Losar, in Kathmandu, Nepal. 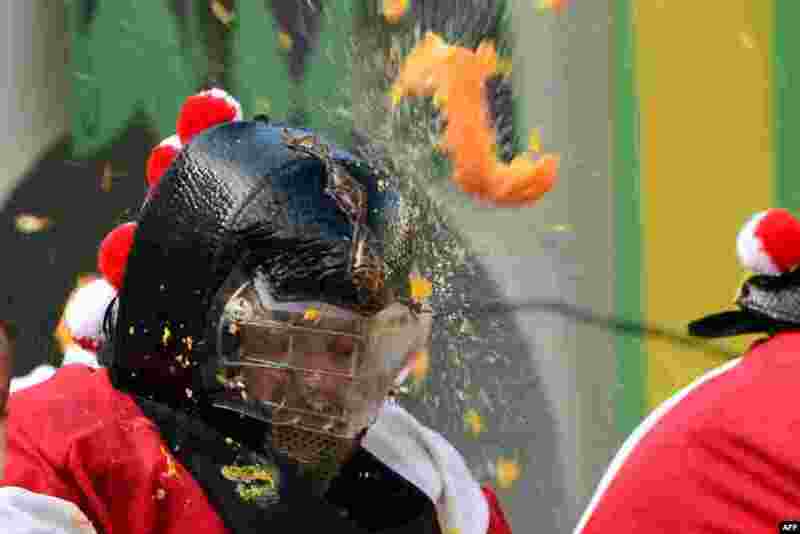 ۳ U.S. President Barack Obama sits with Emily Hare as he visits 3- and 4-year olds in a pre-kindergarten class at Powell Elementary School in Washington, D.C.
۴ Men with helmets are hit by oranges during the traditional "battle of the oranges" held during the carnival in Ivrea, near Turin, Italy. 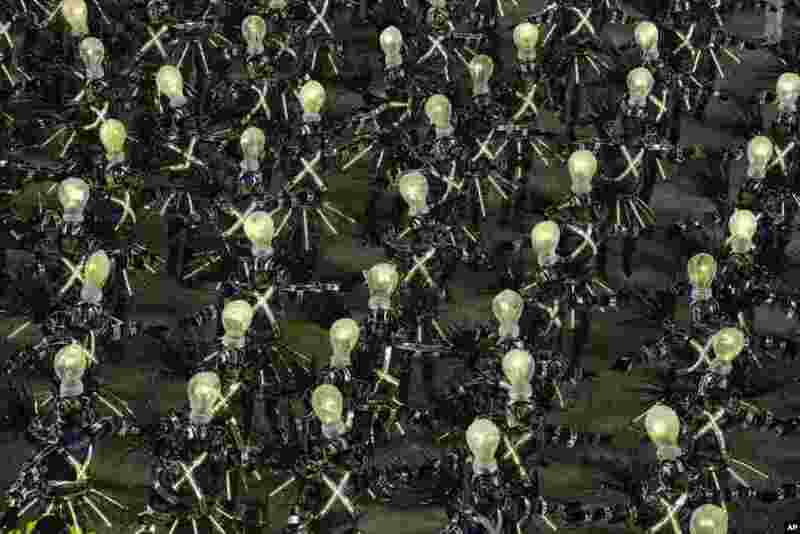 ۵ Performers from the Unidos da Tijuca samba school parade during carnival celebrations at the Sambadrome in Rio de Janeiro, Brazil. ۶ Chairman of Sahara India Pariwar Subrata Roy, whose face smeared with ink thrown by a lawyer, walks into the Supreme Court in New Delhi. The top Indian businessman faces charges of failure to return billions of dollars to investors. Roy's Sahara conglomerate is well known throughout India because it co-owns a Formula One team and sponsored the Indian cricket team until recently. 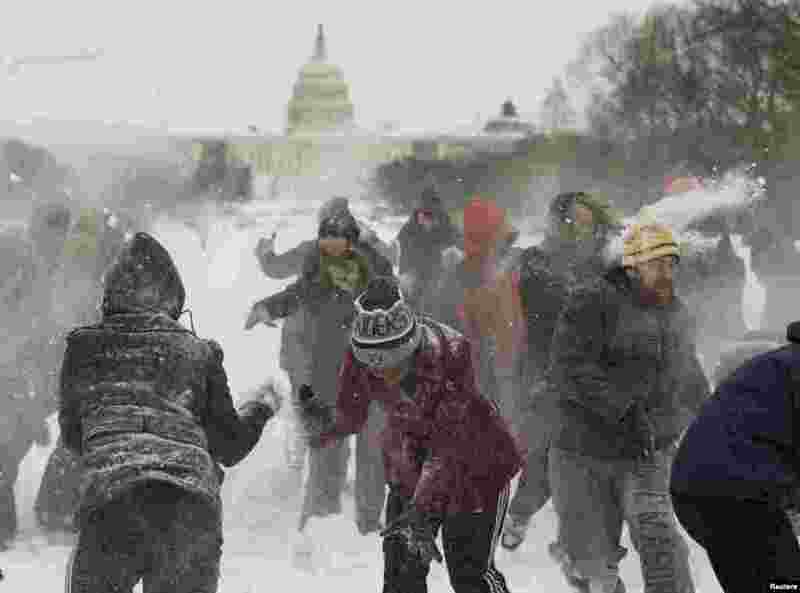 ۷ A large snowball fight breaks out on The Mall in Washington, D.C., Mar. 3, 2014. 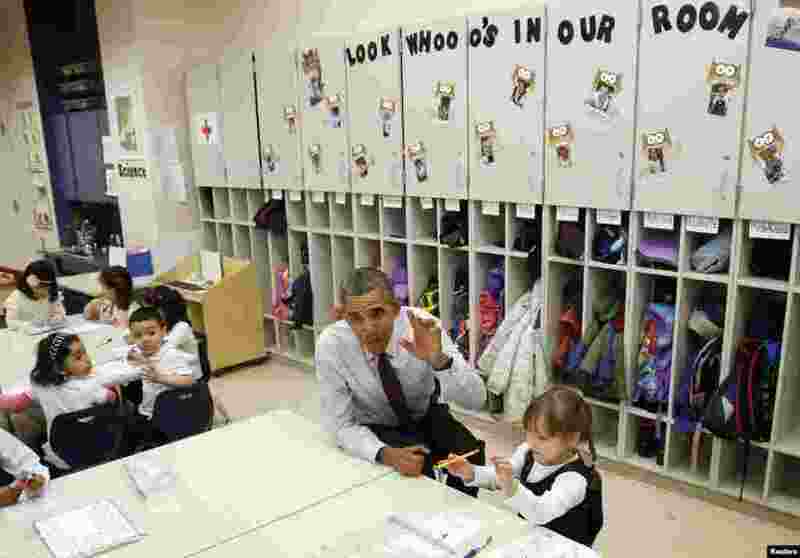 A powerful winter storm hit the U.S. East Coast with freezing rain, snow and arctic cold, forcing cancellation of about 2,250 flights, shutting down Washington and closing schools and local governments. 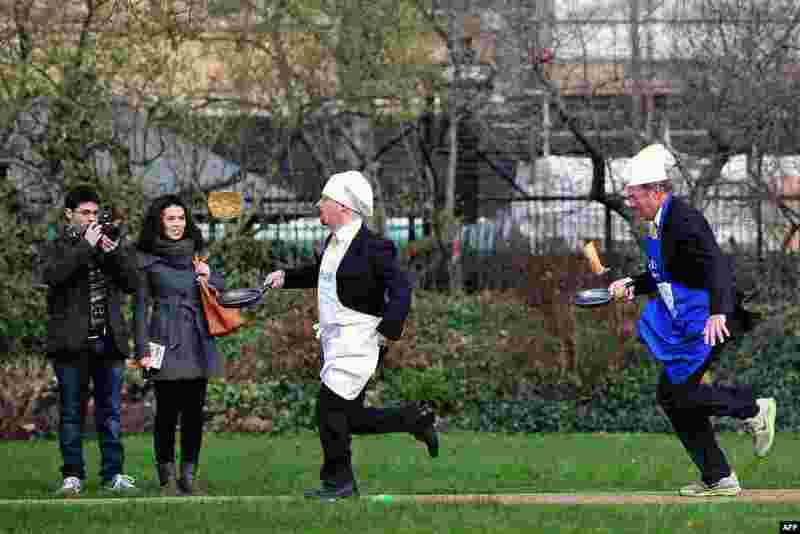 ۸ British parliamentarians Lord St John of Bletso (R) and Julian Huppert MP (2nd R) take part in the annual parliamentary pancake race on Shrove in central London.